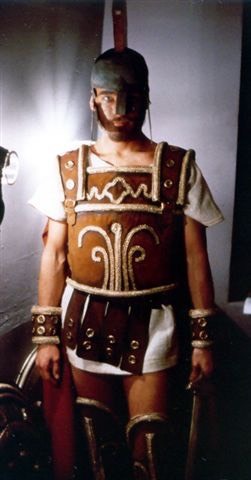 The Trojan Soldier seen here hardly looks like a military man. 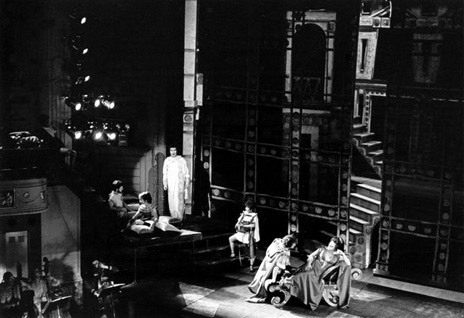 In fact, in his short white tunic and vivid green cloak (carried, not worn, and barely visible in the photograph, which makes it appear blue), he is actually costumed for the party scene at Didon’s palace. I have an agreement with myself that if I live long enough and other more important matters are completed, I will write at length of the experience of performing under the direction and the baton of Sarah Caldwell in the 1972 first U.S. staging (by her Opera Company of Boston) of the absolutely note-complete score of Berlioz’s masterpiece, and of participating in the musical preparation and language coaching for the production as well. Believe me, the material could be developed virtually to novella length. For now, however, it’s a pipe dream that exists only as a remote possibility. Here our soldier wears the regalia of battle, though it seems clear that it would provide scant protection for life and limb in any dire circumstances, and that the long, blood-red cloak might be quite a liability. 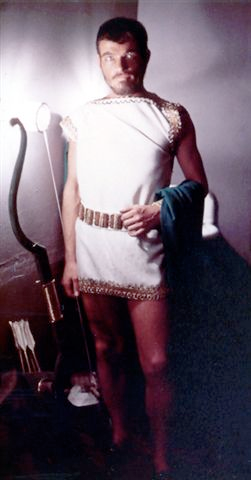 The costume designer (Suzanne Mess) was apparently channeling old Steve Reeves movies when she created the “uniforms,” for her tunics (there were numerous changes) never lengthened regardless of the dramatic situation. 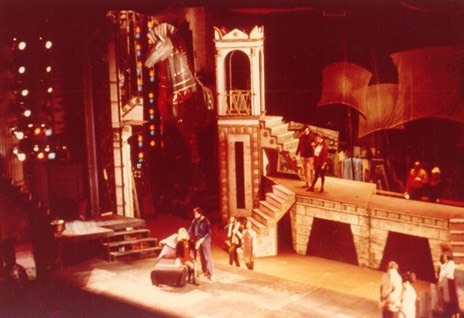 This meant that when Sarah staged us to sit onstage or actually stand above the audience—the boxes at the front of the theater had stairs and platforms built from the stage up to and on top of them (one of those staircases can be seen in the photo below), to enlarge the playing area of this monumental work and make for some exciting entrances and exits—she would bellow, “Men, keep your legs together!” Énée’s hunky troops were forced into some rather prim physical stances for the sake of propriety.